A visit to Wrightsville Beach, North Carolina, starts with outdoor activities that bring travelers back time and time again. Residents offer rentals for surfing or paddleboarding, guides for fishing, and sunset cruise tours. The Wrightsville Beach Scenic Tours Company operates different levels of excursions for any group. Family-friendly, eco-friendly, yoga, and pirate treasure hunts are scheduled daily between 10:30 a.m. and 4:30 p.m. 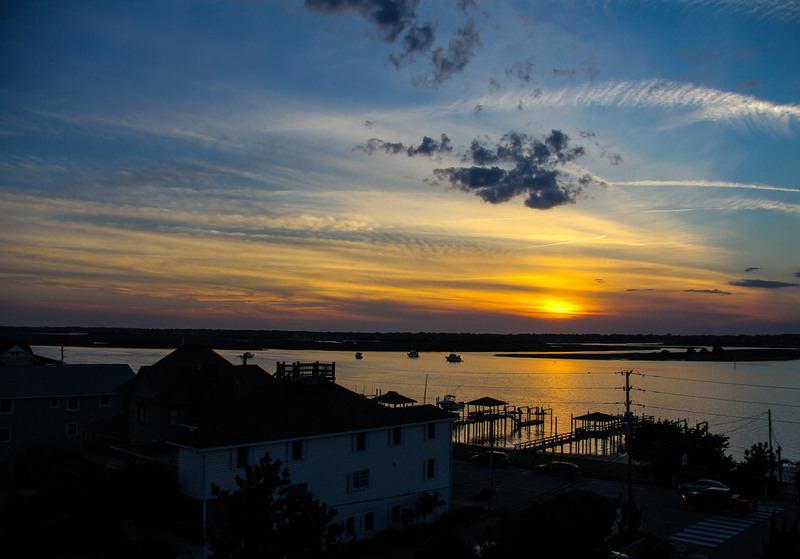 Explore the following three natural highlights you can enjoy around Wrightsville Beach. For the poetic traveler in your group, steer the individual straight to a small mailbox on the beach not visited by the post office. It holds notes with life stories from travelers and love notes, poems, and songs. On the sound front of Wrightsville Beach, Blockade Runner Beach Resort is best known as the place to indulge in water activities. This area has two full-sized piers for access to prime spots on the sand. Day-use options to help you enjoy the natural scenery include renting stand-up paddleboards, kayaks, outrigger canoes, and surfboards. All services are open to the public from 9 a.m. to 5 p.m. daily. No trip to Wrightsville Beach would be complete without taking some time to see Airlie Gardens. Airlie Gardens hosts birdwatchers, family picnics, reunions, and weddings with more than 60 acres of sculpture gardens and walking paths. Bring the family, and if you fall in love with the place, you can volunteer to work at the grounds or explore internships for a longer stay. Adult admission is a value at $9, and kids get in for $5. Kids younger than 4 are free. The gardens are open daily from 9 a.m. to 5 p.m. except in January and February when they are closed on Mondays. To take a bit of Wrightsville Beach home with you, visit the NCSU Extension Service and Arboretum‘s annual plant sale in April. You’ll find a number of specialty gardens for roses, herbs, or local native plants. Fun, kid-friendly activities include an interactive chalk wall and a children’s corner with a wooden pipe organ. These gardens are open daily during daylight hours, and no admission fee is charged. Close to the beach, you can find Wrightsville Beach hotels with Hotel Planner that average $80 to $150 per night. The Shell Island Resort is a 3.5-star property with all ocean-view suites. If the beach hotels book up during the summer, the beach itself is only a short 30-minute car ride from hotels close to Wilmington International Airport or the University of North Carolina at Wilmington. The trip down U.S. Highway 17 passes by two family-friendly attractions: Consider visiting Glowgolf or the Jungle Rapids Family Fun Park. Booking a hotel and staying in Wrightsville Beach, North Carolina, is a breeze and is the easiest way to enjoy the natural highlights around the area. When planning your trip, don’t forget to request a free official visitor guide to the area, available through the New Hanover County Tourism Development Authority.